Last week, in the midst of all the Sharknado 3 festivities, Syfy premiered another bad-on-purpose schlock-fest called Lavalantula. 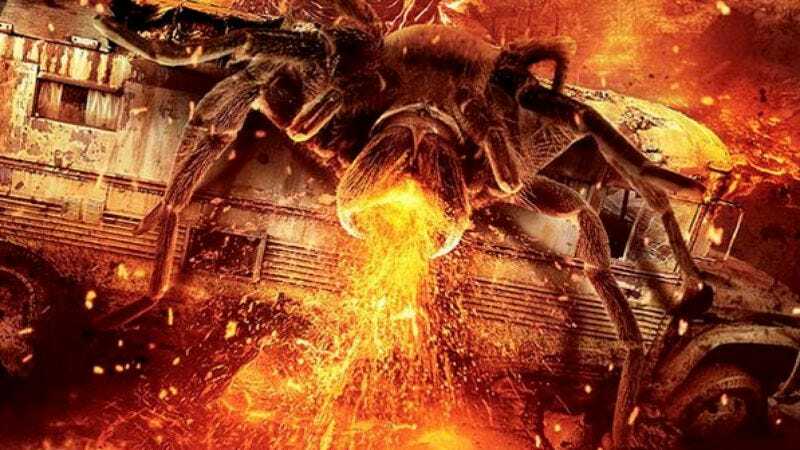 The film starred Steve Guttenberg and a handful of his old Police Academy friends, and it revolved around a horde of lava-spewing spiders rampaging through Los Angeles and spewing lava on things. By all accounts, the movie wasn’t bad enough to make people wish actual lavalantulas had descended upon Los Angeles, so Deadline is reporting Syfy has already greenlit a sequel to the Sharknado-inspired film. It might seem like we’re being a little dismissive of Lavalantula, but we’d like to make it clear that we’re very excited for its sequel because of two important things: It will probably also star Steve Guttenberg—who is the best—and it’s going to be called 2 Lava 2 Lantula!, which is so offensively stupid that we love it more than we love our own families. Deadline says Syfy hopes to get as much of the cast back as it can, with discussions just getting underway now. We can’t imagine Syfy will have any trouble, though, since there’s no actor in Hollywood who wouldn’t want to be in something called 2 Lava 2 Lantula!